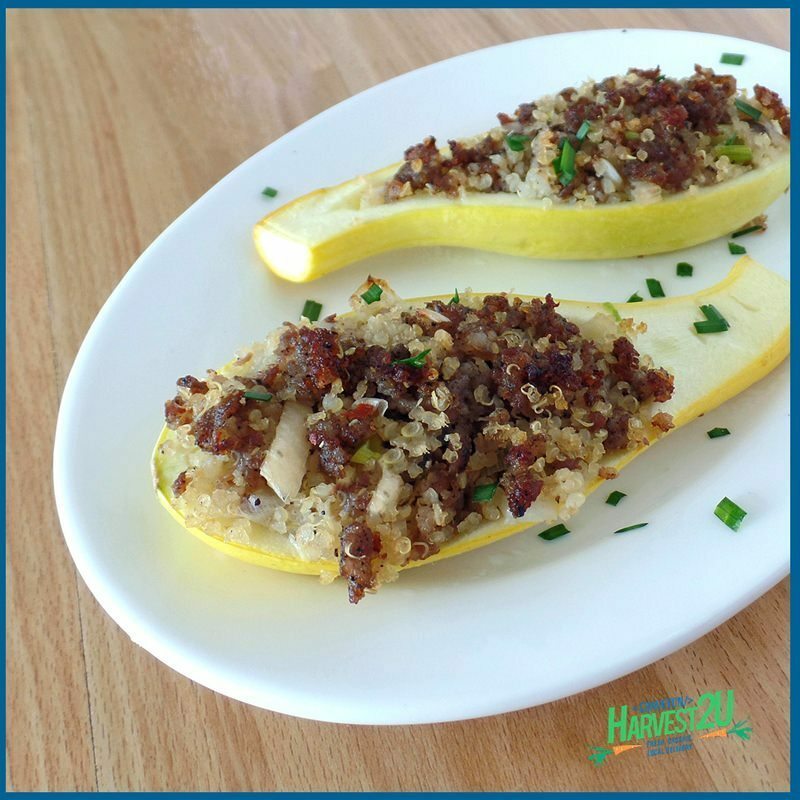 Summer stuffed squash is a rich source of Vitamin A and C, magnesium, fiber, folate, riboflavin, phosphorus, potassium and Vitamin B6. This quick and easy filling uses quinoa as a binder. You can make extra quinoa the night before for this recipe or cook it up while you are preparing the other ingredients. Slice squash down the middle lengthwise. Remove seeds with a spoon. Chop white part of the spring garlic. Cook sausage in a skillet for 2-3 minutes, breaking it up with a spoon. Add spring garlic and cook for 2-3 minutes more. Add quinoa. Place squash on a rimmed baking sheet. Fill with stuffing and pack down gently. Bake in the oven (covered with foil) for 20 to 30 minutes until squash is tender.